Brunch is my favorite meal. And since it really only makes sense two days out of the week, you can really make it special. At our house, brunch can turn into a 7 hour affair that can become quite raucous. But we like that kind of thing. What to serve? Champagne is a must. Cava and prosecco are perfectly budget conscious replacements. Just think bubbly. Then you can add orange juice for a mimosa, peach puree for a bellini and anything else that strikes your fancy. A bloody mary bar is always appreciated, too. Fill bowls with olives, onions, stalks of celery and let your guests build their own. Add worcestershire sauce as well as salt and pepper or hot sauce to top off the fun. 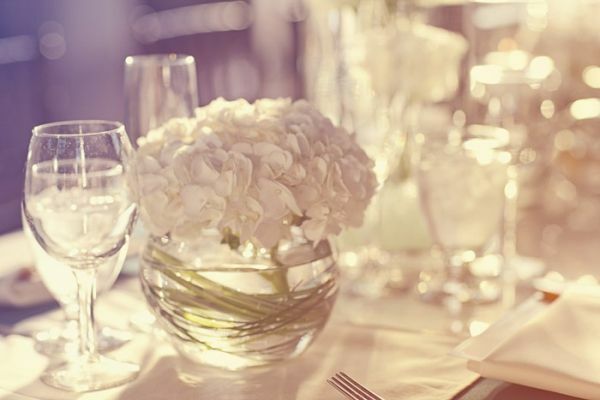 This is the time to break out your best everything – china, wine glasses, flatware, napkins. You can arrange some pretty flowers around the table, making sure not to create an arrangement that is so high your guests can’t see each other from across the table. Hydrangeas set in a pretty bowl would be nice this time of year. Coffee Cake: Next time I make this (and I WILL make it again – it is so good) I will line the pan with aluminum foil so it overlaps the edges and I can lift the entire cake out. Not lining the pan caused the cake to stick to the bottom because it was so moist. I know, first world problems. I also made this the day before the party. Chipotle Candied Bacon: I prepped two pans of the bacon, set on cookie racks sprayed with Pan and then wrapped them in plastic wrap and put them in the fridge the night before. The next morning, I took them out so they could come to room temperature and popped them in the oven with the casserole. Hashbrown Casserole: Not sure what went wrong, but I’m thinking I didn’t cook it nearly enough as the potatoes weren’t particularly crunchy, which I would have liked. My guests were super polite and ate it anyway. Lol. Brunch is such a fun and economical way to get friends together. If everyone brings a bottle of bubbly, your cost goes way down, while the fun stays waaaaay up. If you don’t bake, pick up a coffee cake or bagels from the store.